Forecasters predict that Hurricane Florence will aim its “potential for unbelievable damage” at the Carolinas and Virginia and will not have a significant impact on the New York area. Beware! It’s peak hurricane season and this is not a time for complacency. We may see fewer hurricanes this year, but scientists conclude that hurricanes are getting wetter and slower. Find a wealth of information on the FEMA Ready website. Know your zone. New York City refined its Evacuation Zones after Sandy. Take a look at the NYC Hurricane Zone Finder and for Nassau, Suffolk and Westchester. Get notified. Sign up for emergency alerts from NYC, Nassau, Suffolk and/or Westchester(temporarily unavailable). Stock up. As we know from Texas and Florida, storms bring power outages and limited mobility. Build or restock your emergency preparedness kit. Include food and water sufficient for at least three days, medications, a flashlight, batteries, cash, and first aid supplies. Halacha. The Jewish holiday season continues, so think about how severe weather can affect synagogue services and religious observances. Remember, wind conditions in the metropolitan areas in 2015 led emergency planners to advise those with Sukkahs (Sukkot) to dismantle or secure them (See our post Sukkahs in the Wind and an excellent teshuvah on severe weather considerations here). Hoax threats can be scary, too. the fact that nearly all hoaxes in the United States are conducted by criminal actors or those instigating a nuisance prank. Due to the common occurrence of bomb threats across the country over the last few years, the experts judge malicious terrorism hoaxes such as bogus emails and phoned-in threats, including robo-calls, will almost certainly continue, diverting resources as they create disturbances and send false alarms. However, don’t become blasé. Someone might take advantage of the hoaxes to accomplish a real attack. What should we be doing? Consider these incidents to be a teaching moment. How would your organization handle such threats. Know what you should do. Have a bomb threat plan before an incident happens. For starters, check out DHS’ Bomb Threat Guidance and Introduction to Bomb Threat Management. Add JCRC-NY’s post, Manhattan bomb threat: lessons learned to your reading list. Now is a good time to review, or to think through your own plans. Our own Emergency Planning: Disaster and Crisis Response Systems for Jewish Organizations has a longer chapter discussing the issue. Train your phone answerers. Everyone answering the phone (including those who might answer) should be taught how to handle a phone threat with this checklist. Have copies of the bomb threat checklist posted nearby. First things first. Call 911. Bring in the cavalry…ASAP. Whether you think the incident is real or a hoax, contact the experts and defer to them. Have a system (with primary and backup callers) that ensures that someone calls 911 immediately. Remember, don’t use a cell phone or walkie-talkie in the area of a suspicious package … you might set it off. Get to your landline. Get the word out. Even if your people know what to do (i.e., you’ve conducted bomb scare drills) you have to let them know that they have to do it. Does your building have a public address system? Do you have cell phone numbers for all of your staff so that you can text them with updates? Can you modify your fire alarm system so that it sounds a distinctive signal for a bomb scare? Let your constituencies know what’s happening. Bomb scares create angst and the possibility of physical danger, but there is the potential for risk to your reputation. No one wants a parent to learn about an incident from the media. Have pre-written messages ready for distribution directly to your constituencies (e.g., by text) stressing the steps you’ve taken and that everyone is safe. Have a point of assembly where worried parents can go for additional information from your best staffers. Work with the police to direct people to the appropriate areas. Do not post specifics on social media. Click here for resources on crisis communication. Decisions, decisions. Have someone in charge (and a backup). OK, you receive a threat, now what? Certainly, dial 911, but should you evacuate or not (might someone use a bomb threat in order to trigger an evacuation setting up an active shooter or vehicle ramming?)? In reality there is no perfect answer to this question. Someone has to give the order and there will be no time to waste. Know where to go. If you decide to evacuate out of an abundance of caution you probably don’t want to stand in the street, especially if the weather is bad. Do you have an agreement with a neighboring institution that allows you to bring people into their facility. By doing so you can keep your people warm and dry and out of harms way. Keep unused parts of your building locked. It’s good practice to have your staff check your facilities daily, looking for something that “Just Doesn’t Look Right”. As they move through the rooms they should lock the doors. Closets and other storage areas should be kept locked. If you develop such procedures and do receive a bomb threat, the bomb sweep of your building can be accomplished faster. Consult your leadership about security plans. There will always be Monday morning quarterbacks, but a review of your plans at the Board level should empower those making difficult decisions under duress. As they say, “once is not enough.” Revisit security planning and procedures on a regular basis. Most genuine bombers wouldn’t use threats involving large numbers of operatives. Remember, there are no guarantees in security. You will have to weigh the options and make the best decisions possible. If you’ve thought about the options and have made decisions ahead of time, the odds of making the right decision increase dramatically. Mayor de Blasio today issued a hazardous travel advisory for Saturday, January 23, 2016 through Sunday, January 24, 2016. Nassau, Suffolk and Westchester Counties have issued similar advisories. 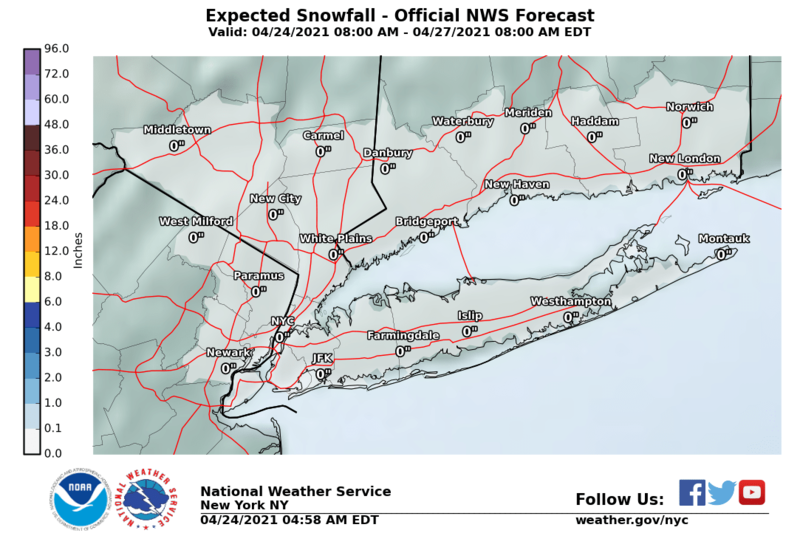 The National Weather Service (NWS) has issued a Blizzard Watch for New York City from Saturday morning through Sunday afternoon. This system is forecast to bring heavy snow along with strong and potentially damaging winds, and will create slick and hazardous travel conditions. Stay tuned for the latest updates via Notify NYC, NYC Severe Weather. What’s in store? For most of the region, the current NWS forecast is for heavy snow (8 to 12 inches forecast) and potentially damaging northeast winds of 25 to 35 mph with gusts up to 50 mph in much of the region. There is also likely to be coastal flooding over multiple high tide cycles. How should I prepare? Travel during the storm may be extremely dangerous due to heavy snowfall, strong winds and whiteout conditions. Some roads may become impassable and strong winds may down power lines and tree limbs. Stock up with enough food and supplies. You might not be able to shop over the weekend. Have extra batteries on hand in the event of power outages. Check on your neighbors, especially those who are vulnerable. For more helpful tips for staying warm and safe, view NYC Emergency Management’s public service video announcement, or visit NYC.gov/EmergencyManagement. New Yorkers are also encouraged to sign up for Notify NYC, the City’s free emergency notification system. Through Notify NYC, New Yorkers can receive phone calls, text messages, and/or emails alerts about traffic and transit disruptions and other emergencies. To sign up for Notify NYC, call 311, visit NYC.gov/notifynyc, or follow @NotifyNYC on Twitter.